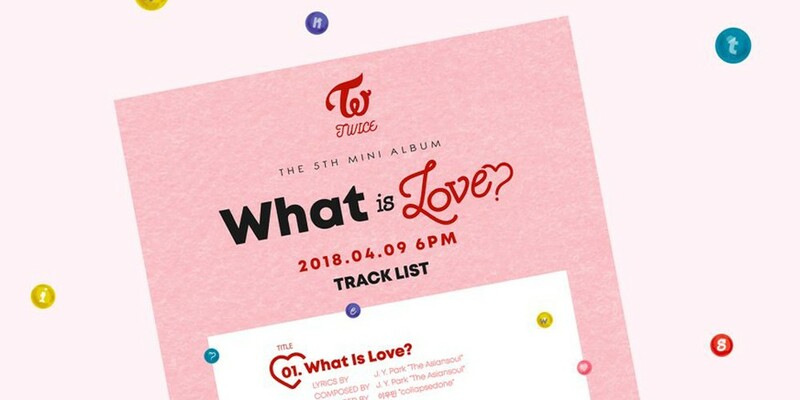 TWICE will be revealing the tracklist to their 5th mini album 'What is Love? ', song by song. Yesterday, the girls announced that their comeback title track, also called "What is Love? ", is the work of J.Y. Park. 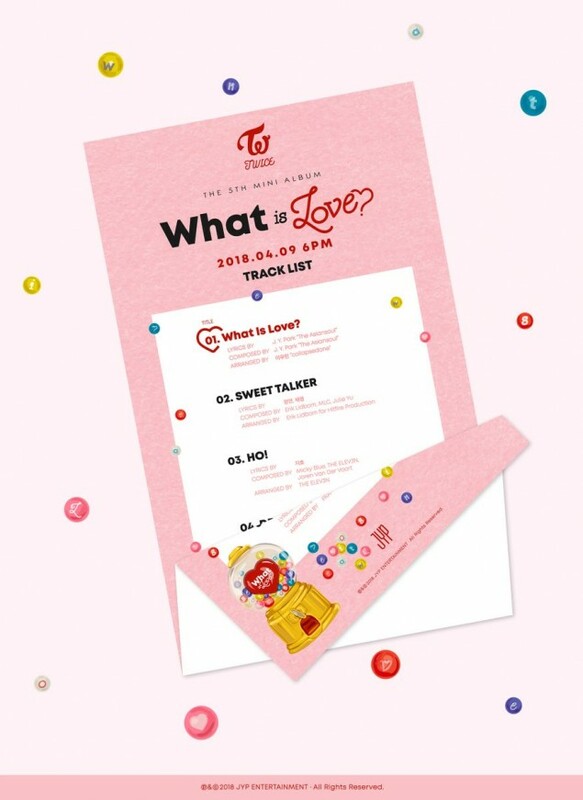 Today, they've revealed the information for track #2 "Sweet Talker" with lyrics by members Jungyeon and Chaeyoung, and track #3 "Ho!" with lyrics written by Jihyo! Meanwhile, title track "What is Love?" is an uptempo dance genre with a slight mix of trap. Stay tuned for more on TWICE's comeback, coming this April 9 at 6PM KST.